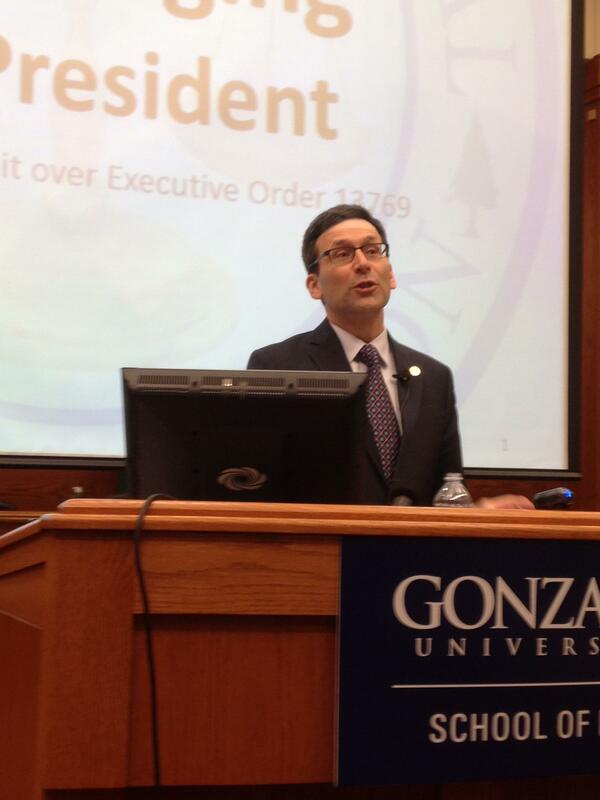 Washington Attorney General Bob Ferguson told Gonzaga law students about his office's challenge to the Trump administration's first immigration executive order. This is an excerpt from Attorney General Bob Ferguson's talk at Gonzaga law school on Friday, March 24. For a few weeks recently, Ferguson had quite a high profile, not only in the state, but also nationally, because of his decision to challenge the initial Trump Administration travel ban on people from certain countries. He appeared on national news broadcasts to explain the state’s position. And last Friday, he held a session at Gonzaga law school here in Spokane. Here are some excerpts from his talk.